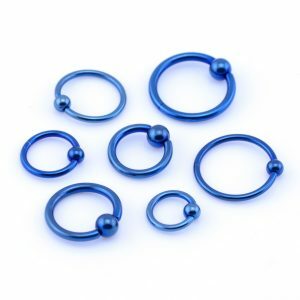 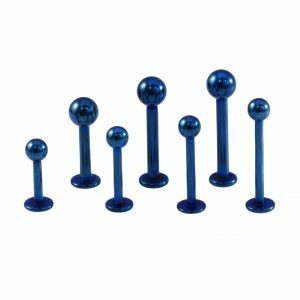 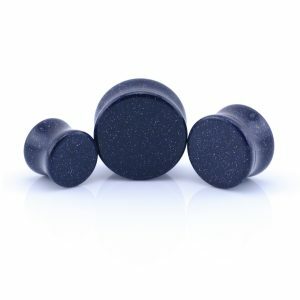 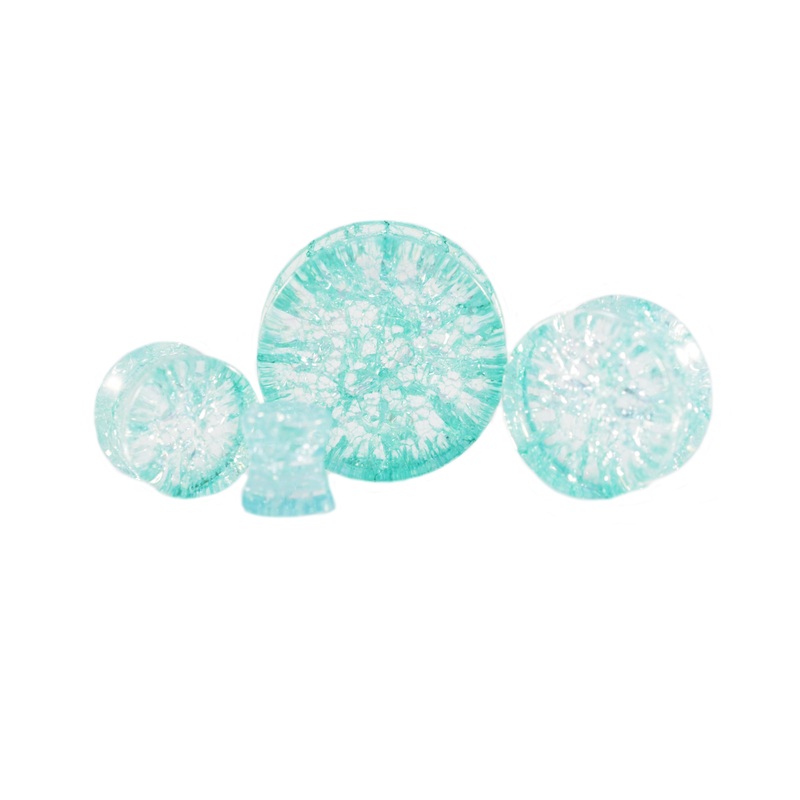 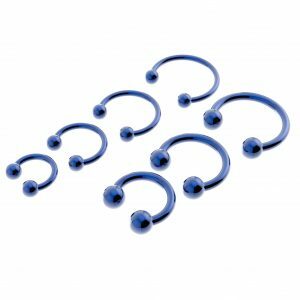 Blue fake cheater plug – Fake Plugs are great for giving the appearance of a large gauge plug without the stretching or large gauge piercing. 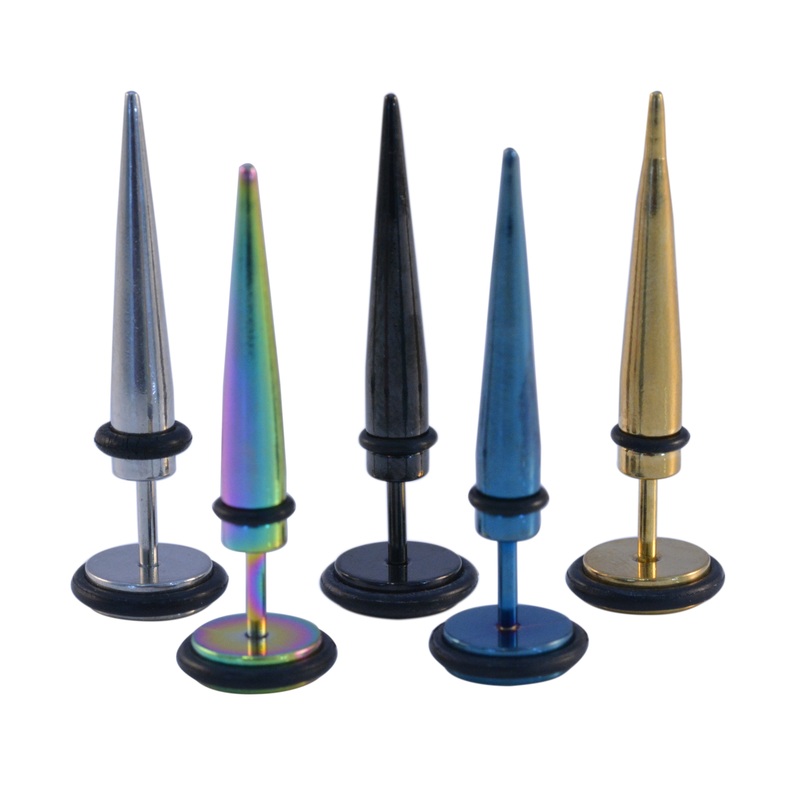 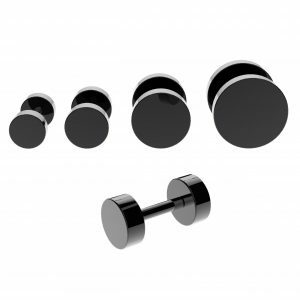 Choose how big you want your ear plug to look from the sizes available. 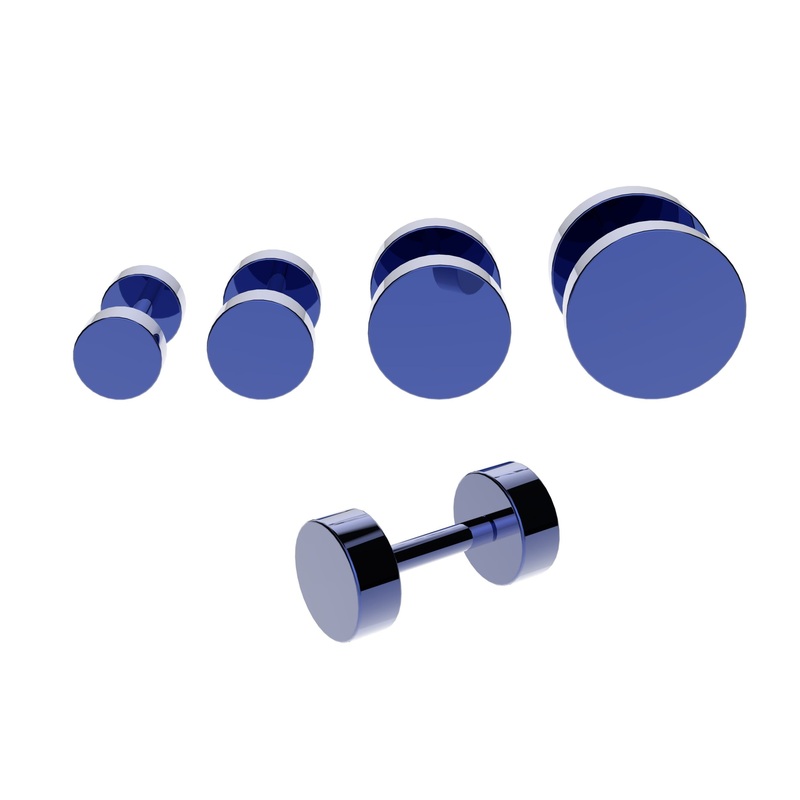 The gauge of the bar gauge is 1.2mm (16ga). 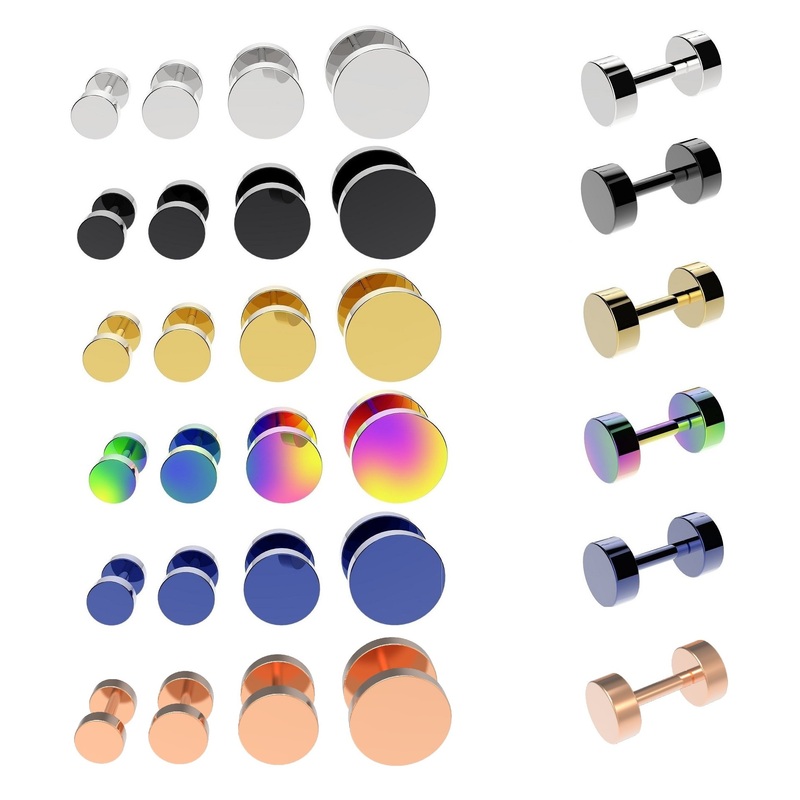 Available in Steel (silver), black, gold, rainbow, blue & rose gold.